Dragon plays international (10x10) draughts. 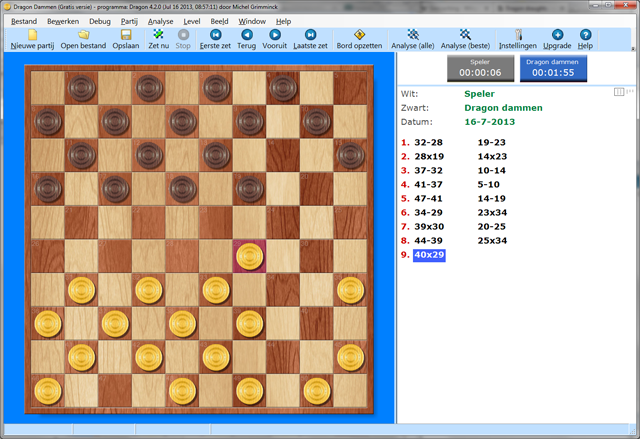 The program won the dutch open championship for computer-draughts of both 2012 and 2013 in culemborg. See Tournament results for a comparison with other programs.